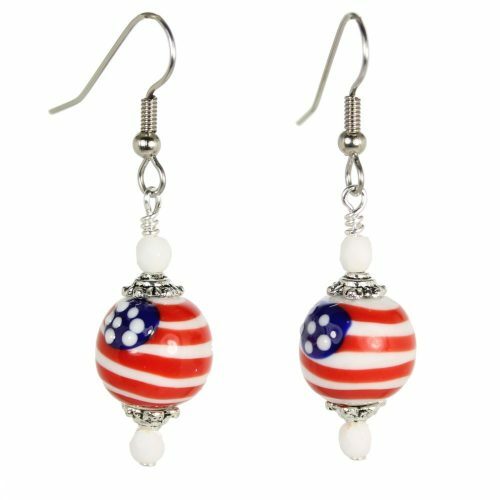 Celebrate the 4th of July with these patriotic striped heart lampwork glass earrings with matching fire polished Czech glass beads. 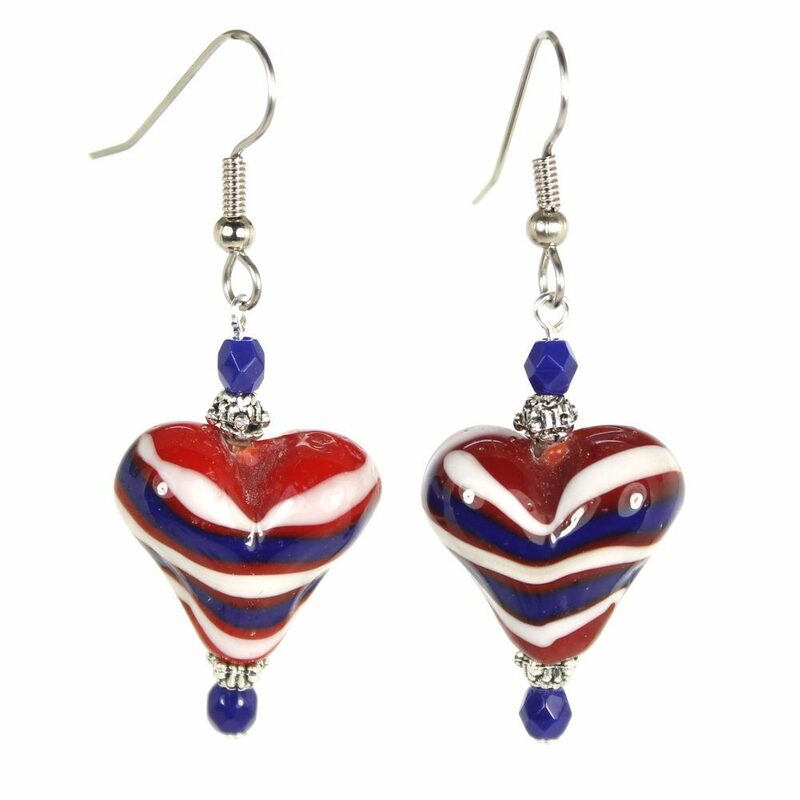 Celebrate the 4th of July with these patriotic striped heart earrings with matching fire polished Czech glass beads. Earrings measure approximately 2″ including surgical steel ear wires.